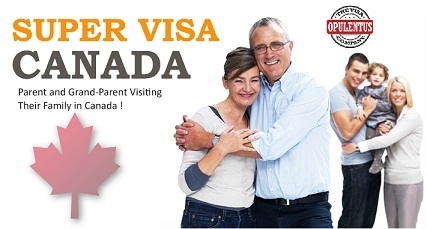 Additional applications for Canada Parent and Grant parent Program Visa will be invited by IRCC during the current month. This presents a fresh opportunity to the immigrants to carry out the sponsoring activity of their parents and grandparents. The next round of invitations starts on 6th September 2017 and will be continued for one or two days. This happens to be the second round of applications to be held during the year 2017 for the PGP Visa. The sponsors who had not received the invitation during the initial round held in April 2017 now stand a bright chance to receive the invitation. This round will be exclusive only for the probable sponsors who had submitted an Expression of Interest in 2017 through the requisite Interest-to-Sponsor form and had failed to receive the invitation from the authorities. The sponsors receiving the invitation are required to apply and submit their completed applications by 8th December 2017 for proper acknowledgment. This will make Canadian immigration for parents, easy. The Interest-to-Sponsor is an initiative introduced in winter 2016. It went for a change in the process the Canada PGP visa from the first-come-served model to the invitation-based model. Through this, the applicants must first submit a formal interest to apply. From the pool of registrants, 10,000 targeted applicants, for the Canada PGP visa were selected in a random manner during April 2017. Subsequent to the expiry of the three-month deadline, IRCC was unable to receive 10,000 completed applications under this category. So it is going for another bout of calling the invitations in order to achieve the annual target. Individuals who had not submitted the required application by August 4th, 2017 despite receiving the invitation are not invited in the second round. Persons not submitting the form in early 2017 are also excluded from the invitation. The eligibility requirements are that the persons interested to sponsor must hold Canadian citizenship/Canada PR Visa. They need to meet the income criteria prescribed in the categories announced. There is a target of 20,000 fresh Canada PRs in the PGP visa for 2017. This measure will help to boost Permanent residency in Canada.